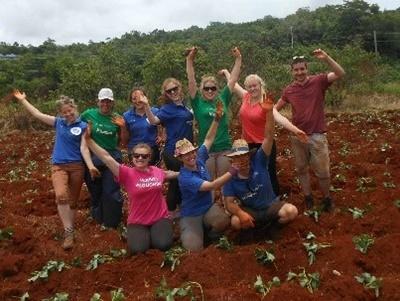 Eleven Young Farmers from all over England set off on a voluntary farming project to Jamaica on the 6th – 21st of August 2016. A lot took place over the two weeks which was certainly an eye opener and an example of the fantastic opportunity’s the National Federation of Young Farmers and Projects Abroad can offer us all. An overnight stay in Newark, New Jersey could not be enough without a flying visit to New York City. So a few hours after leaving London Heathrow and in a jet lagged state, we arrived in the center of New York City for a brisk and humid tour around the city and the sites until 3 am. Our New York trip entailed flying visits to Times Square, the Hard Rock Café and a towering trip up to the Empire State building with some spectacular views over the city. The journey back to the hotel involved taking advantage of a trip cheaper than the taxi there, which just happened to be in a limousine. If only there was a sky roof in this particular one! 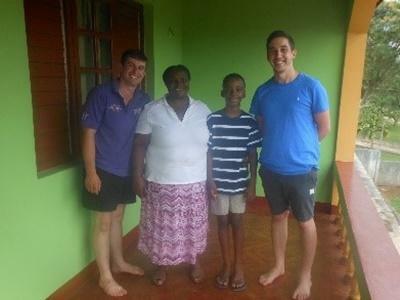 The two weeks was spent in Mandeville in the Manchester Parish with our host families. Mrs Nelson cooked plates and plates of food. The main dish; goat curry! Not forgetting chicken & rice, oh and some more chicken and rice! 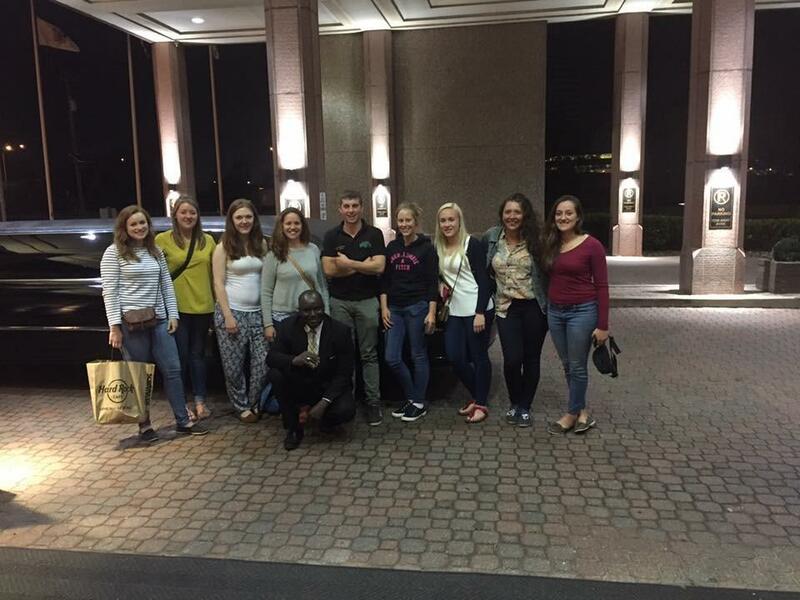 We spent a substantial part of our time in Jamaica working with the Mustard Seed Community. 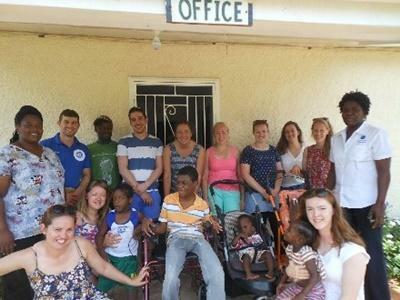 The Mustard Seed Community is a charitable community in Jamaica which provides a safe home for physically and mentally disabled children. The community has limited funds to sustain itself from and our role was to create a small subsistence farm to grow food to eat, which they could also sell if surplus produce was grown. Two acres of sweet potatoes, pumpkins, courgettes and peas, and a new found appreciation of any form of Machinery! We also purchased a hose after noticing the sweet potatoes were wilting and the organisation couldn’t afford to buy one. So no more bucket watering two acres at Mustard Seed! We also took a tour of a plantation of 11,000 acres of sugar cane in a beautiful Jamaican valley. The tour took us right around the distillery and quite rightly included ad lib Rum shots at the end – young farmers took full advantage of this, no surprises there! If you ever get the chance to get your hands on rum cream you will not regret it, we promise! 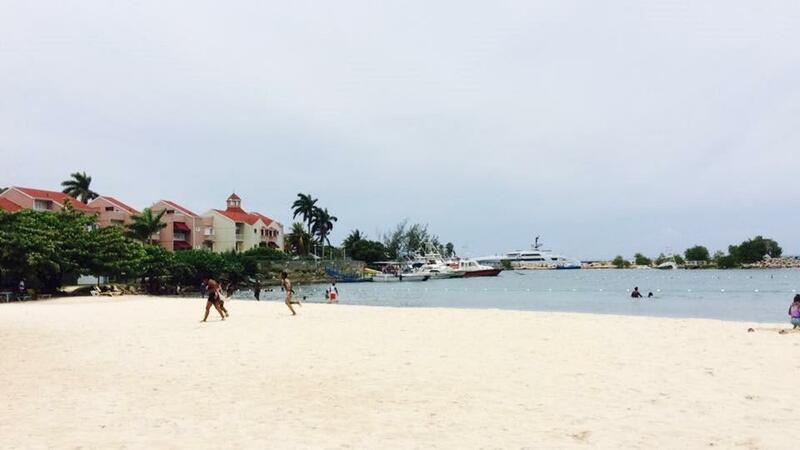 Nothing like a Jamaican beach; sun, sea and a pina colada! Shropshire YFC’s very own Tom Sellers was responsible for the Tom’s Special cocktail which was made up of rum cream, evaporated milk, a single banana and a splash of syrup. At Little Ochi we stuffed ourselves with Jerk Fish netted from the Caribbean Sea that we were looking out over, and it was grilled before our very eyes. Certainly a dish to remember! A visit, during the week Usain Bolt was running in the Rio Olympics, meant the locals were having their very own races along this beautiful beach. We also took the opportunity to take a glass bottom boat trip and try out some snorkelling in the Caribbean Sea. 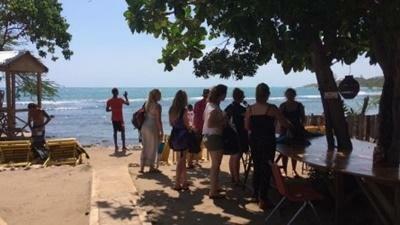 All followed by a meal in a local restaurant and a trip into the market stalls of Montego Bay. We found some stall sellers had a less aggressive sales technique than others to put it mildly! 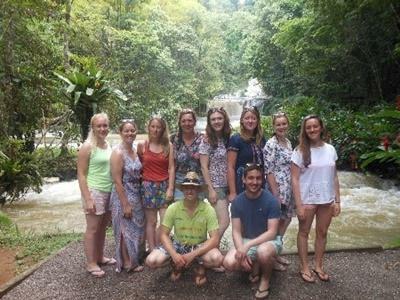 We also took a visit to some tropical waterfalls and immaculate pools. YS Falls is part of an estate that successfully breeds racehorses which contributes to an active horse racing industry in Jamaica. The estate was also home to an established herd of Red Poll Cattle. There was also a visit to the Sam Motta goat and sheep demonstration and training Centre. 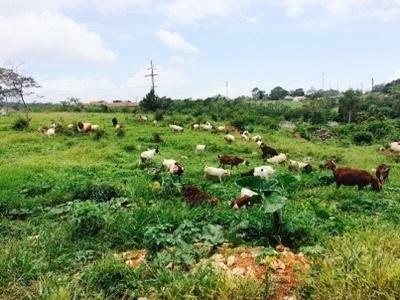 The centre looked at strengthening Jamaica’s food security through, for example, the increased production of vegetables and herbs through the use of protected agriculture. We also visited other agricultural holdings in and around the Manchester Parish. We also met Jamaica’s champion Boer Goat owned by Mackey, who was kind enough to take time show us his farm. We went to see a pig unit of 96 pigs whilst on our travels, and this was considered large scale in Jamaica. We also met a Jamaican land agent who resolved land disputes for the cooperative his farm was owned by. He was also kind enough to climb a tree and harvest us some avocados. Strawberries are also grown in Jamaica on small plots. We were surprised at the subsistence scale of agriculture in Jamaica compared to the UK, and found it is still very much developing. 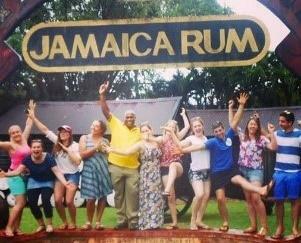 We departed Jamaica with a ten hour Journey back to the UK and memories to last a lifetime! For anyone venturing to the Caribbean, mosquito repellent, a mosquito net and something to soothe your bites with would be very highly recommended! Read more about Jamaica and the projects available.